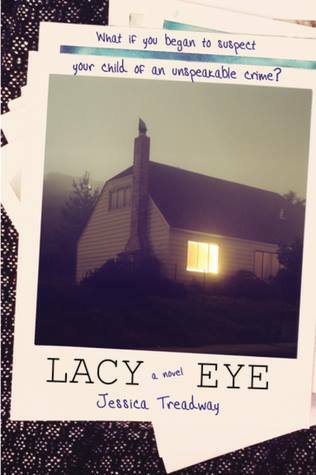 Summary: A haunting, evocative novel about a woman who might have to face the disturbing truth about her own daughter. Hanna and Joe send their awkward daughter Dawn off to college hoping that she will finally “come into her own.” When she brings her new boyfriend, Rud, to her sister’s wedding, her parents try to suppress their troubling impressions of him for Dawn’s sake. Not long after, Hanna and Joe suffer a savage attack at home, resulting in Joe’s death and Hanna’s severe injury and memory loss. Rud is convicted of the crime, and the community speculates that Dawn may also have been involved. When Rud wins an appeal and Dawn returns to live in the family home, Hanna resolves to recall that traumatic night so she can testify in the retrial, exonerate her daughter, and keep her husband’s murderer in jail. But as those memories resurface, Hanna faces the question of whether she knows her own daughter-and whether she ever did. The cover for the hardback version of the book is more eye-catching, but the paperback cover is more accurate in describing the book. So, when I started this book I had high hopes. I wanted Hanna to remember what happened to put her daughter’s boyfriend, Rud, away for good and for their life to be able to pieced back together. Well.. I didn’t get all of what I wanted, but I did get some. This is a hard book to talk about without getting into spoilers too much. As I was reading the book, I kept waiting for the big twist, because truth be told- Dawn was acting terrible. I had no trouble imagining her to be more involved on that fateful night. And yet I just knew there had to be a twist. After I finished the book- I did finally decide what the twist was. I was somewhat satisfied with this book, but mainly dissatisfied. It had potential to me, but it just got bogged down in a lot of extra words, with Hanna not facing the truth about things, and more. Bottom line: It’s not terrible. It’s got some good parts, but it will not be one that I want to read again.